On Friday, May 21, the Cleveland Indians faced the Cincinnati Reds in the season’s first instate game. Thanks to the invite of a close friend, I joined the Men of Independence behind home plate to sing "The Star Spangled Banner." 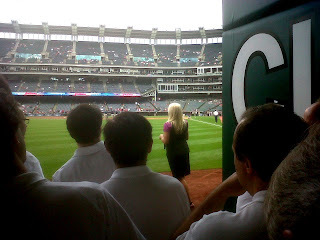 The Indians lost to the Reds, but I came away from the game with a renewed appreciation for connecting with an audience. At the onset, everything was about community. When I arrived at the assembly room the night before the game, I must have met almost all of the fifty or so welcoming singers. I felt very much at ease warming up my voice with supportive veterans. As a writer, I thought of these parallels: writers/singers, literary agents/vocal coaches, editors/choir directors, publishers/benefactors, readers/fans. Walt Whitman’s “Song of Myself” comes to mind. The worker is part of society, the singer is part of a production, and the writer is part of a professional team. Singing and writing can be collaborative ways to engage communities. I also thought about singing being more than notes and writing being more than words. 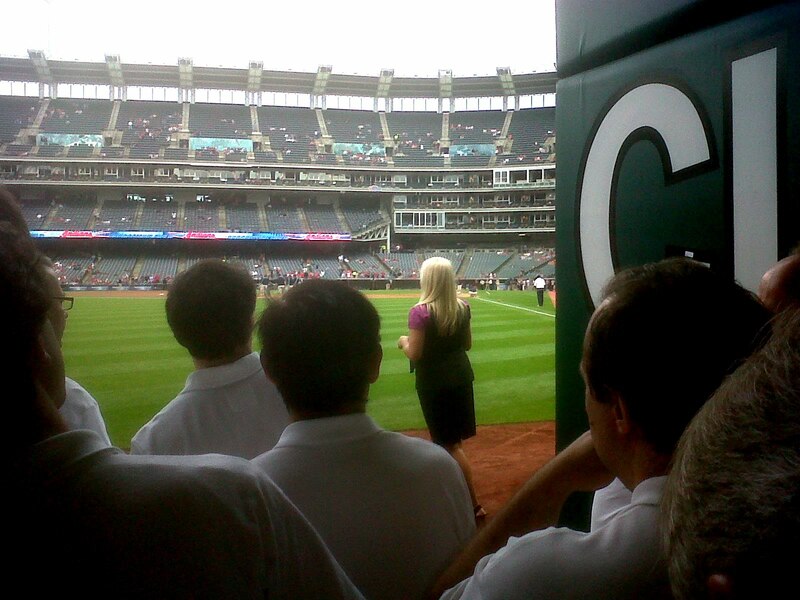 At Progressive Field, we led an audience through the National Anthem. The leads, tenors, baritones and bass singers all had to sync together in tune. For one minute and fifty-two seconds, we were one. But even this great feat was about so much more. The people in the stands sang along with us because “The Star Spangled Banner” carried meaning in their hearts. Our singing allowed the importance of the song to shine through. I think the same can be said about writing. Sentence composure and pacing must be carefully crafted in order to successfully engage readers, but it’s the content that matters most. As a hopeful novelist, I pay close attention to craft development. However, I also know that my favorite writers offer readers something that is beyond craft. Insight. Perspective. Wisdom. I think the Men of Independence are great singers of great songs. 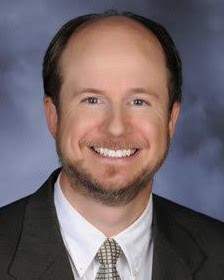 I admire that kind of singer, and that kind of writer – content-and-craft-driven professionals. Finally, I reasoned that singing and writing both require great concentration. Before taking to the field, one of the choir directors advised us to sing our parts the way we practiced them. He cautioned us not to be distracted by the jumbotron or the sound system delay. So we focused on our sound and sang “The Star Spangled Banner” exactly as practiced. In the end, the moment under the lights and mics went by in a flash, but the stupendous cheer at the end will live with me for the rest of my life. Singers and writers connect with people in ways beyond their forms. The connecting is a privilege.